Textile from Georgia is an impressive and ambitious research project which aimed to investigate the long history of Georgian textiles, to resurrect forgotten craft techniques, and to transmit knowledge of these techniques to contemporary society. The Art Palace of Georgia collaborated with the George Chubinashvili National Research Centre and other state institutions for Georgian art history and heritage preservation in the research and execution of the project. The thorough study has revealed the close relationships between Georgians and the wider region of the Caucasus as well as the depth of influence that they have had on each other. The scientists, artists and restorers involved in the project studied royal garments and illustrated representations of textiles painted on more than 100 frescoes on the walls of Georgian churches and monasteries. The frescoes were digitised, the costumes repainted and the data was analysed. 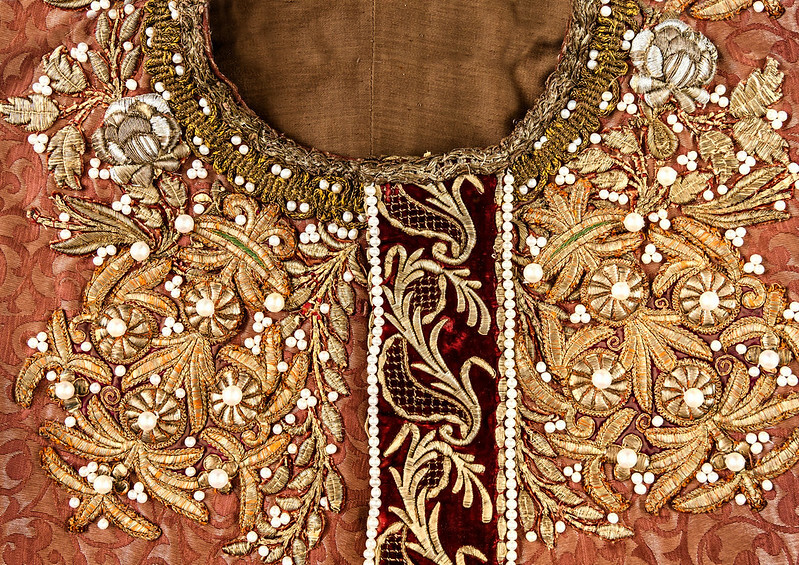 The artists and restorers created visual representations of old royal textiles and identified the exact methods with which such unique historical fabrics were once created. These graphic models were then transferred onto different types of fabric and the restored textiles were sorted chronologically from the 8th- to 20th- centuries and photographed, creating the first electronic database of textiles in the Caucasus region. The result shows the origins of textiles in Georgia and the Caucasus, describing its development as well as further illustrating its links and parallels with Europe and Asia. The research has been compiled in a bilingual catalogue Textile from Georgia and in addition to the preliminary research, several unique historical garments dated to the 18th- and 19th-centuries have been conserved or restored. “We much appreciated the multidisciplinary approach of this project which revisited heritage crafts in the context of contemporary use. The exploration of these artistic techniques has resulted in the founding of innovative approaches for contemporary creative industries”, the Jury said.